GENS ACE Il y a 14 produits. 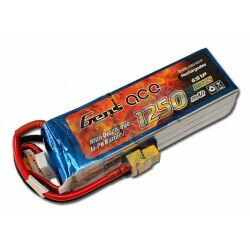 Pack LiPo Gens Ace 1250 mAh, 22,2 V, 6S1P, 45C (T-Rex 450 Dominator). 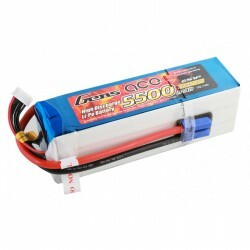 Pack LiPo Gens Ace 1450 mAh, 22,2 V, 6S1P, 45C (max 90C).Pour hélicoptères classe 450. Pack LiPo Gens Ace 2200 mAh, 11,1 V, 3S1P, 30C (T-Rex 450, 450SE, 450SE-V2, 450PRO, 450 sport). Pack LiPo Gens Ace 2200 mAh, 11,1 V, 3S1P, 45C (T-Rex 450, 450SE, 450SE-V2, 450PRO, 450 sport). Pack LiPo 3300 mAh, 22,2 V, 6S1P, 35C (T-Rex 500/600). Pack LiPo 3300 mAh, 22,2 V, 6S1P, 45C (T-Rex 500/600). Pack LiPo 4400 mAh, 22,2 V, 6S1P, 35C (T-Rex 550/600). 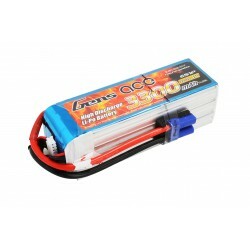 Pack LiPo Gens Ace 4400 mAh, 22,2 V, 6S1P, 45C (T-Rex 550/600). 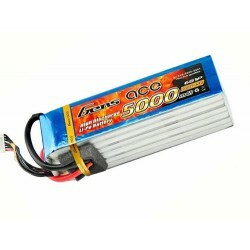 Pack LiPo Gens Ace 5000 mAh, 44,4 V, 6S1P, 45C (T-Rex 600/700/800). Pack LiPo 5000 mAh, 22,2 V, 6S1P, 45C (T-Rex 550/600/700). Pack LiPo 5500 mAh, 22,2 V, 6S1P, 45C (T-Rex 600/700/800). Pack LiPo Gens Ace 800 mAh, 11,1 V, 3S1P, 40C (Shape S2 - T-Rex 250).